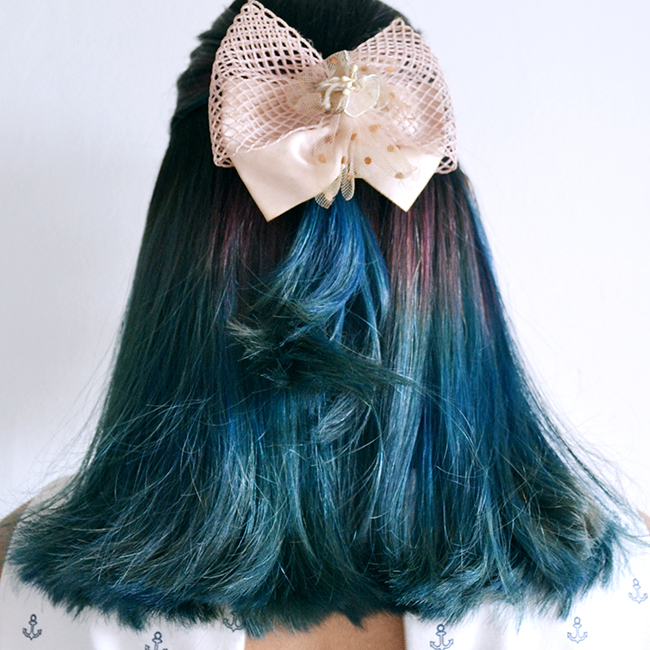 My new mermaid hair is so damn gorgeous! Done by Mas Anung himself from Flattoper Salon. 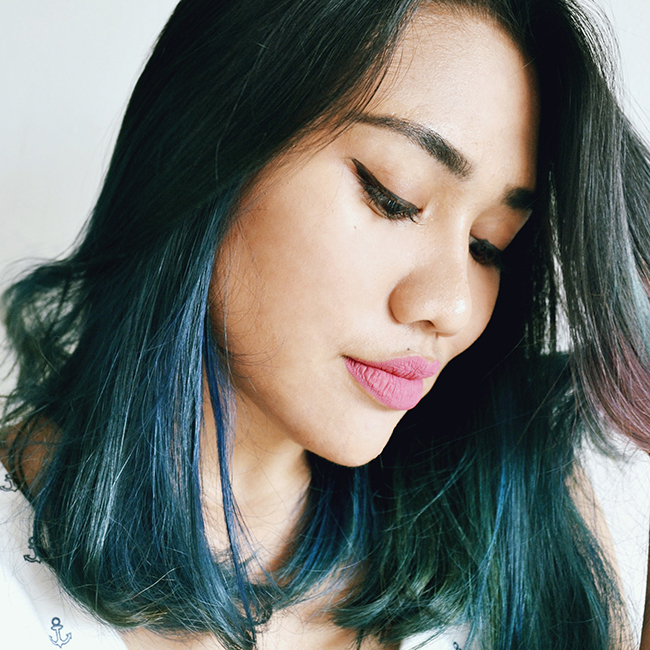 After I cut my hair before CNY, I told him that I want to dye my hair to grey or ash blue. Then he suggest me to ash blue because he think my skin will not suitable with total grey color, it will be more pretty if I combine it to some color. Having a bright hair color, he asked me if I dare with this or not, I said I was born ready! Flattoper Salon was located at Jalan Rokan Ujung no. 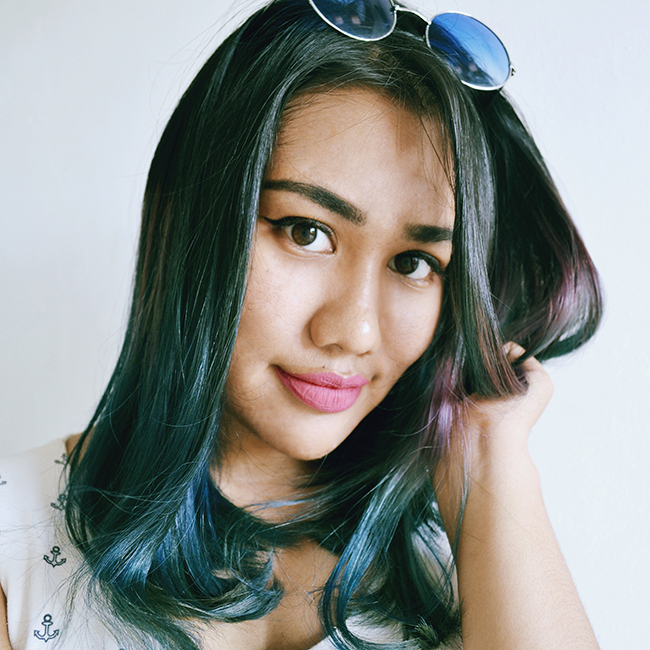 6, this is my second time coloring my hair with them. The first time when I colored it brown. It takes 4 hours to be done. I suggest you to came earlier to have a great result, they will be focusing on you and gave you the best treat. Having a great hair done is not always about going to "famous", "expensive", "popular" salon. 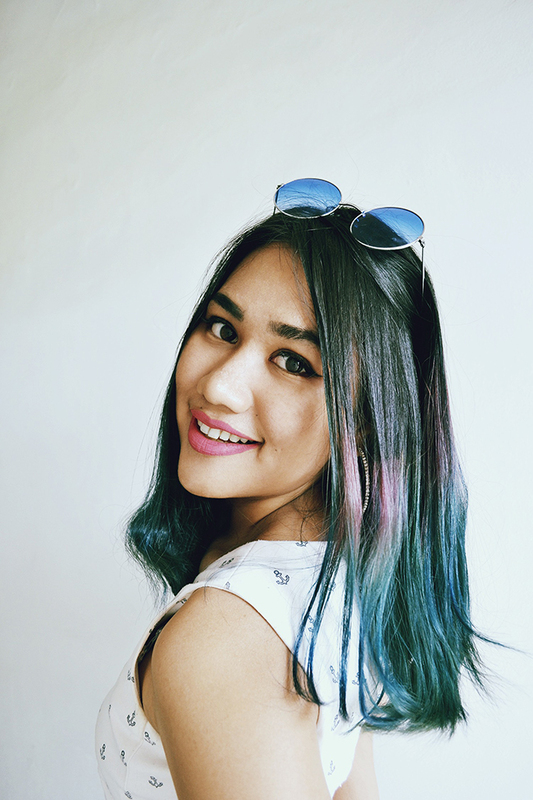 I know, if you ask someone, where to go if you want to color your hair in Pekanbaru? They will suggest you to IP, D, M&S Salon, and many popular salon in Pekanbaru. Coloring is about trusting the Salon. Price comes with great service, great result, caring employee not with popular. Sometimes, the famous one can't gave us their best treat. Sometimes they are underestimated guest. The more richer you are the more they care about your hair. Correct me if I'm wrong. 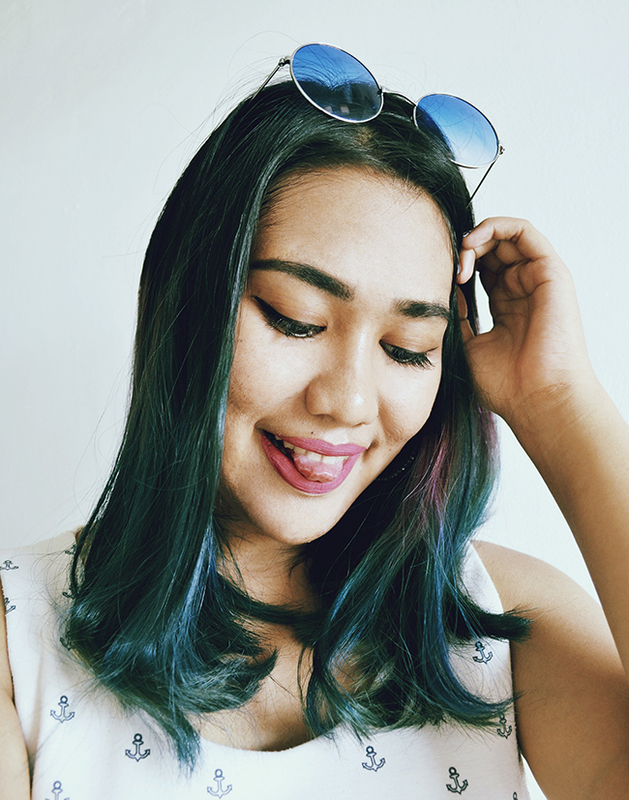 Flattoper Salon is the one where I came when I need hair coloring, but if I just want to cut my hair off like the last time I always go to Necis Salon, because the stylist is the one that I trust since I was in elementary school and I always satisfied with the result. Overall, I love my new hair color. You should try! I'm just thinking what's is my next hair color. This is so addictive but too long to be done. By the way, I'm preparing my stuffs for BALI to celebrate my Mom's and Clement's birthday! H-6. YAAAY! Hello Vacation and dark skin!